Free Easy Tabs extension is efficient solution for usability of your store. 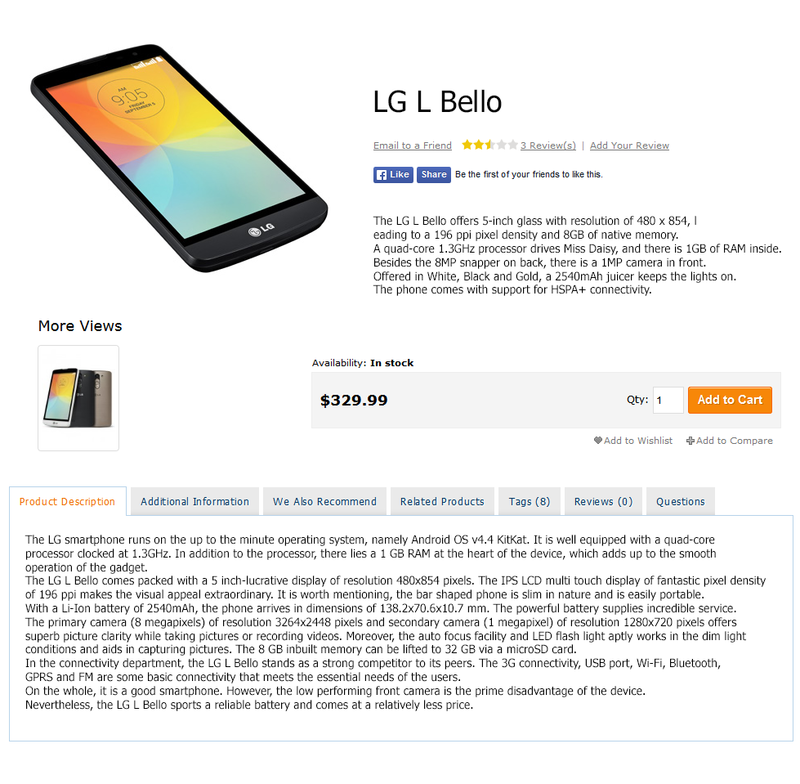 It was developed in order to add informational tabs on product page. The number of tabs is unlimited. You can replace default system tabs, add new blocks into the tabs and apply ready to use tabs to create new one according to your requirements. Find out more information and reviews about our module at Magento Easy Tabs extension page. Adding a product tab to your page allows you to present your products in Magento in more flexible way. 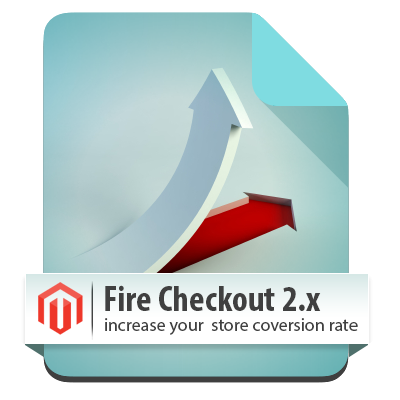 New Magento custom tabs will reflect the more frequently information that appears in the search results found in your web-store. The number of tabs is unlimited. The Easy Tabs extension offers description tab, reviews tab, products tags tab, additional information tab, upsell products tab,related products tab. You can also create custom tabs and put any content to it. For example you can put Ask It products question block into the products tab or Knowledge base products related articles. 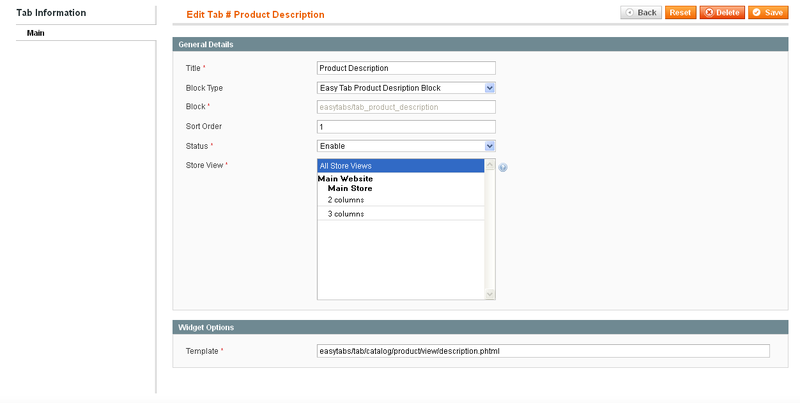 Magento tabs extension Easy Tabs allows you to add new blocks into tabs and apply ready to use tabs to create new one. 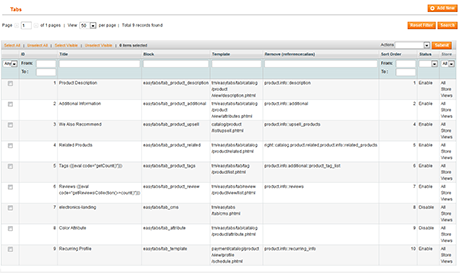 Also you can add dynamic tabs based on content of cms blocks or products attributes. For example, you can move the default description block and output it as product tab. If you select Easy Tab Product Description Block as block type, then at Widget Options keep the Template field without any changes. By enabling the block type, the default description block will be removed from products page. 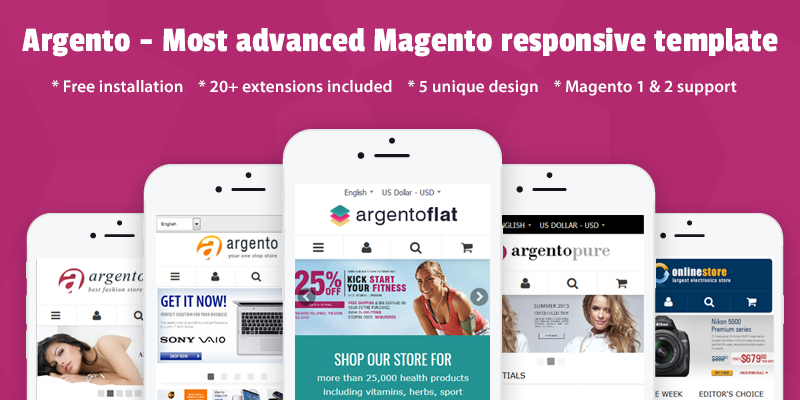 Our Magento product tabs extension works with mobile devices too. 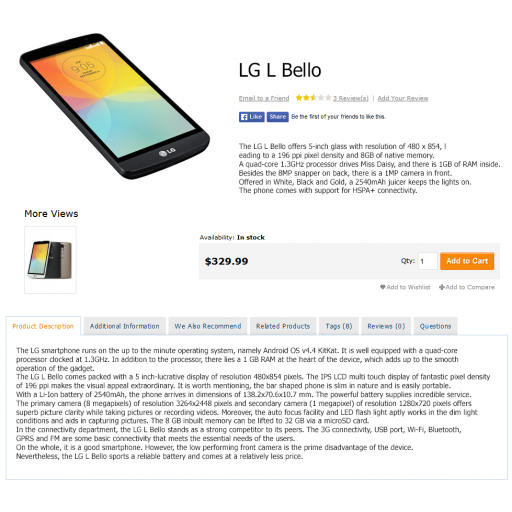 It will make the page more eye-friendly and speed up the purchasing process. The responsive design has undeniable impact on mobile SEO. Well programmed interfaces will attract more and more customers engagement. Perfect extension for implement tabs on product page, easy to use and customize tabs as per requirement. We love this extension. 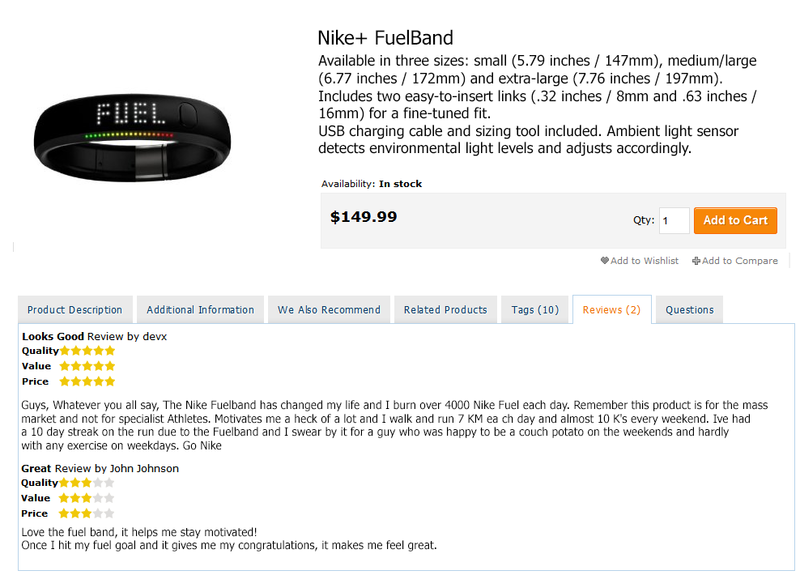 Iy makes our product pages look great and helps sum up a large amount of information in a very small space. Its very adaptable in its approach, you can pull in dat in all sorts of ways. One suggestion - it would be good to include some easy instructions so that you could customise the css for the tabs to get a suitable colour to integrate with the colour scheme of your site. Or better still, a tab colour option in the admin section. I Installed the easy tabs module. Unfortunately it conflicted with my existing, very basic tabs module which was built it to my theme, so the tabs area was shown twice. I contacted templates master support and within 2 MINUETS they responded with help. they also logged in to my admin and fixed the problem. this is better and faster support then many paid modules. now it works flawlessly, looks great (especially on mobile view). This is a very useful tabs extension, but it lacks important features such as adding custom tabs from static blocks and adding custom tabs from custom product attributes. Anyway, it's great and I still give it 5 stars! Easy to install and configure. Support was fantastic! I highly recommend Templates Master! Thanks guys! I am always a little dubious with "Free Gifts"
My experience with Templates Master and its team have given me a very different out look. They stand head and shoulders above most companies, I was apprehensive in taking on one of their free products. There was a little glitch with it but they fixed it immediately and with no complaint. They are indeed a very comprehensive and front running company. EasyTabs is a great product whether or not it would be paid for. I will most certainly always look in the columns of The Templates Master web-site when I need my site upgrading. They are indeed titled appropriately as "Templates Master"
Thank you guys and gals, I will be back soon to do business with you again very soon. View all reviews for Easy Tabs 3.1 - Magento Products Tabs. Reccuring Info tab added to default setup. Q: Hello,I have used EasyTabs many times, and I like it a lot.But it does not work on the new RWD theme in Magento CE 1.9.If I switch the theme to default or anything else, EasyTabs works. But not with RWD.Do you know how to get them to work together? A: Please use recent version available on our site. It should be working with RDW theme. A: Thank you, you are right, it worked.Could you also tell me, how do I find the 'alias' of a block so that I can unset it. Which file is it normally in? A: You can find it in xml code that is used to create each block. A: Stuck with the same issue, What need to be changed in xml file for the latest version of magento 1.9 ? A: Unfortunately it does not work with my 1.9 install either (rwd theme). Q: I have installed this and it it working, except custom created tabs arent working. I cant seem to figure out how to find them, edit the content or anything for the product pages. Am I missing something? A: Can you tell us step by step how you configured your custom tabs? Q: Am I missing something? I've gotten the extension installed (had to do it via ftp instead of through Magento Connect), and I've enabled it through System > Configuration, and have created several custom tabs as well. But I just cannot figure out how to disable to default description tabs, or where to access the new tab areas when I'm creating a new product or editing an existing one. How do I make these custom tabs appear?I feel like I'm missing a "Read Me" or "Manual" file in the download.Thanks in advance. A: Please log out from admin and then login again. Q: Hi. I have just downloaded this from your website and installed under 1.5.1.0.I do not have the Easytabs section under Configuration to be able to turn this on.Please advise how to fix. A: I had the same problem. The is wrong in the configuration file. Change it from community to local. A: Can you tell us what extension version you tried to install? A: Ofcourse,It was extension source 1.2.1 magento 1.4.2.0 -magento 1.5.x.x edition downloaded from your store a few days ago. A: Please contact our support team. We will check what is wrong. Q: when I add the attribute code to "Custom tab #1 attribute id" I still can't see the attribute. The tab is activated, the value visible in the store. What do I have to do to enable the Tab? 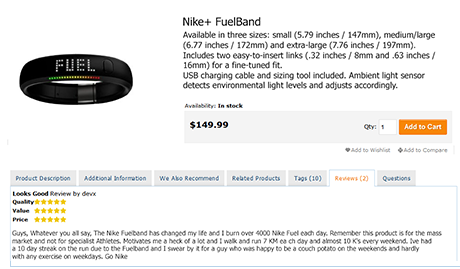 A: Can you tell us if you added any content to this attribute for your products? Q: Hi I am running a theme based off modern theme magento version 1.6.1I can get custom tabs to show up, but the values show up as a number instead of the actual value. I put in the right "attribute code" - still not working. Help would be appreciated. Q: I've downloaded and updated the EasyTabs plugin to make it work with IE 9.0. Now the tabs are functioning but the screen turn light gray. Is there an explanation for that?We are using Magento 1.4.1.1 and the latest "extension source 1.2.2 - magento 1.4.2.0 - magento 1.5.x.x edition"
A: Sorry can you post link to your products page so we can check what is wrong? A: http://juglen.homeip.net/badkamermeubel/badmeubel/allure-bianco-1200.htmlThe problem still exists. When browsing through the tabs the page turns transparent grey. Q: Hi,I see that you have recently released an update for Easy Tabs so it works with IE9. I've installed the latest version and I'm still having issues with the tabs not working. When I first installed the update it worked fine but it's not working anymore. Any ideas? It doesn't work on your site either. A: We have not updated extension demo site yes. We would recommend download recent extension version from our store and reinstall it. Q: hei, i got your email , and glad to hear that you've update your resources to version 1.5.0.1but could you tell me how to install manually through your zip file? there is no key.is that i just ftp upload your files to my server , then the extension will running?? ?thanks very much. A: Yes extension installation is really easy. Please just upload extension via ftp. Q: Is it possible to specify which tab is open by default? Using the Argento Luxury template if that helps. A: Tab with lowest order number will be shown first. There is no separate configuration feature that allow to make for example third tab to be visible by default. A: Sorry what do you mean "slow is displayed on products"? Q: I want to add accessories tab.so i have used inchoo's custom linked product module.. How can i show accessories tab using easytabs.?? A: You should create "Custom tab" in admin Easy tabs interface.You will need to set Block name and Template path for that tab. You can check what is block name and template path in inchoo's extension xml file. A: Please contact our community support at https://swissuplabs.com/magento-forum/ and they will help you. A: Such task will require more details investigation as most likely your template missing some core blocks on products page. Q: Great extension....my product page looks great with this functionality but i have a small issuei cannot set questions tab... i referred your documentation, it shows i have to set " tm/askit/list.phtml" in template field and i set it but can't see questions tabalso askit folder doesn't exist in my frontend template folder...what can i do now? A: Can you tell us if you have Askit extension already installed? A: Please try download recent version from our store. After that please upload it and refresh your store cache. You should also check that compillation mode was disabled. Q: Hi, I have installed this extension (thanks for it by the way). Everything is fine at admin panel, but I can not see the tabs in frontend product page.Magento cache is disabled, also copied skin files in custom theme folder. Can you please tell what I'm doing wrong? Thanks a lot. A: Please check if tabs are visible with degault Magento template.